KUALA LUMPUR: Jazeman Jaafar is expected to move into GT or Super GT following his short stint in the World Endurance Championship (WEC). He is currently without a team after the Sepang International Circuit (SIC) decided to pull the plug on their WEC programme which had also featured Nabil Jeffri and Weiron Tan. "You could say it is a loss as we were third in the WEC standings. It is unfinished business as we had a chance to win," said Jazeman. "It is not that we were not appreciated (by SIC), it was about current interests." Jazeman now hopes to move into GT or Super GT racing. Both series will be held in Sepang. "I think it is important that we have some direction in car racing. It is not right for us to completely lose interest in car racing just because Formula One is not here anymore. "We need to choose the right (race) platform to focus on in terms of development. Having the right platform will not only help with the development of drivers but also mechanics, engineers and other relevant businesses." "For myself, I believe GT or Super GT is the best platform from here on. “Super GT will be the first night race here and will feature top manufacturers. 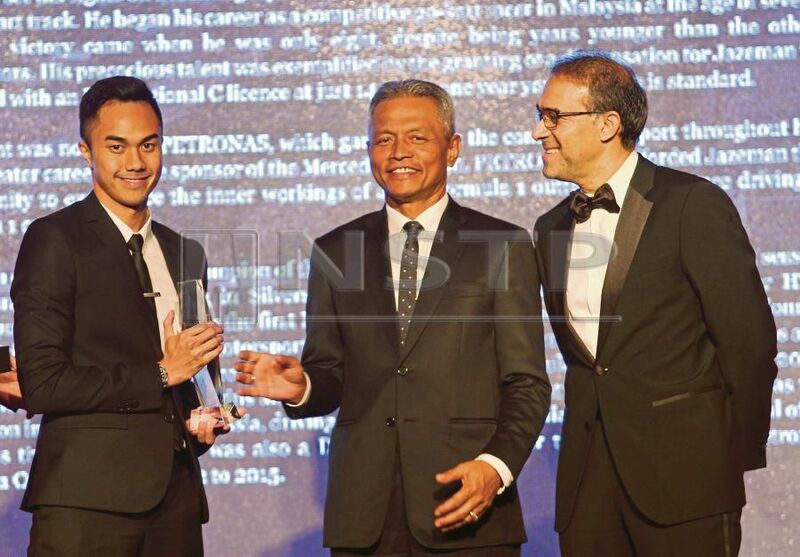 Both will provide a good platform for Malaysian four-wheel motorsport development. "I am currently looking at a few offers. I will make a decision soon,” he said. The Asia GT Festival is on March 15-17 while Super GT is scheduled next year.